Hope you enjoyed the warm summer, September is now behind us but it’s still time to share & report some of the great things & people we crossed on our way ! 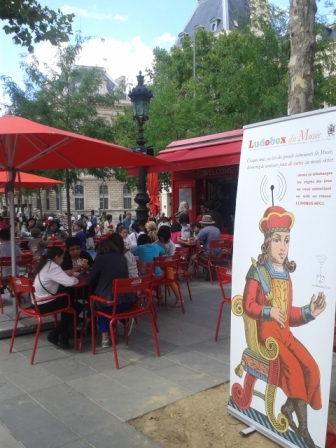 First day of July begun where everything (almost…) should start : Tours (37) where we joined the Ludiquai festival. Time to enjoy sunny/bloody « LA Guinguette » where white wine and ABS filament were flowing on tables during a shiny evening, organized by MDJT and FunLab. Happy meet-up of gamers, makers, sunglasses, Tobeca 3D printer, pirates apps and wanderers, all glued to warm waves and sympathy ! After a demo of the 3D printed Yoté we headed to the fresh basement of the Funlab, occasion for us to talk about the upcoming Ludobox/Boxjam events this autumn, with few curious people who came to grab informations. Special thanks to François Hotton, looking forward to meet again in October! Back to Brussels, we spent every Thursday in Recyclart during Holidays festival. Each evening, we have shown and talked about Ludobox project, focusing every week on a dedicated game or author hosted in the box. It was also a pretext to invite some other non-profit organizations to introduce their current works. Lots of encounters and unexpected interests from summer’s wanderers, from theorical and technicals talks to playtests, customizations & updates , etc… hard to sum-up this beautiful sunny mess ! Shortly and chronologically, we where pleased to host Aurélien Lefrançois from Prismatik and author of the amazing toolbox named Mecanicards, happy to welcome Ludilab who also thinks about possible connexions between makers and gamers, and finally we embedded the non-profit Let’s Play Together who use second-hand/recycled material to craft board games. Thanks again to Recyclart team, and all others friendly/curious/weird people who passed by this July! 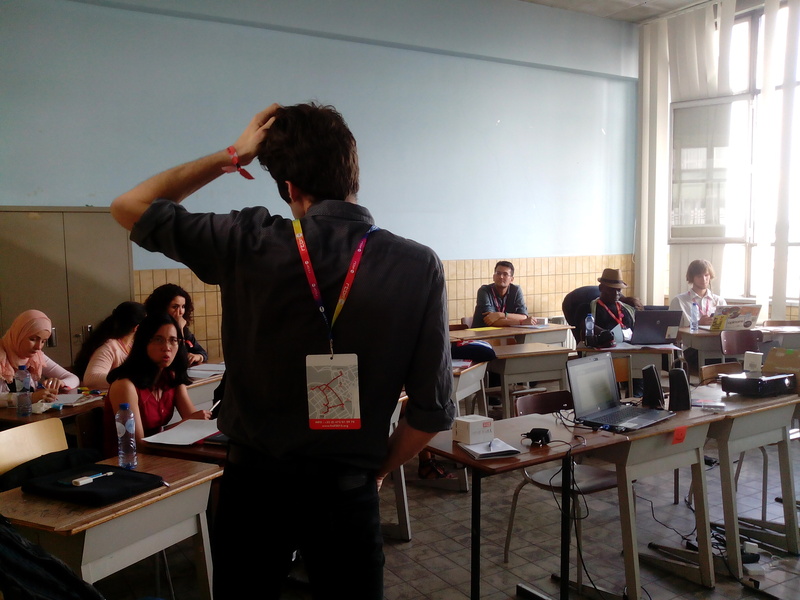 21st and 22nd of July we went for a short talk on the Ludobox project in the Global Forum of Francophonie(FLMF) that took place this year in Liege, Belgium. 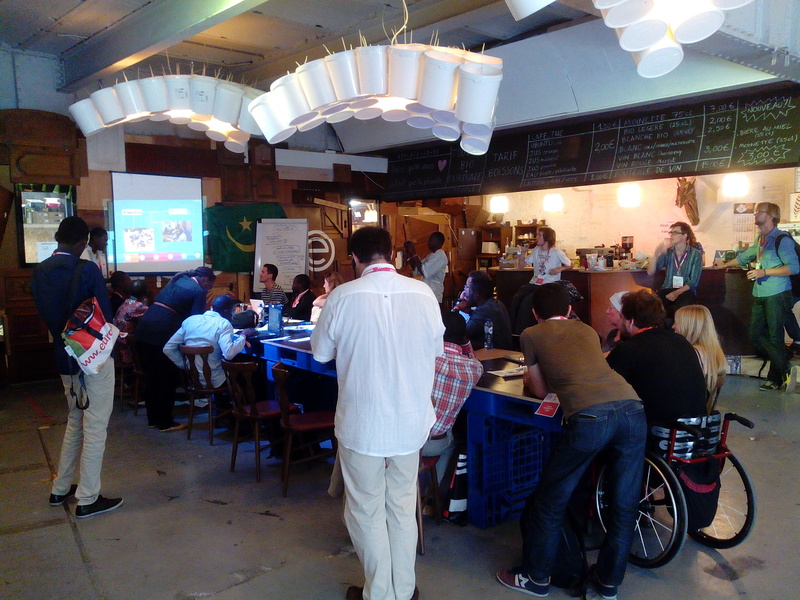 Nice opportunity to meet african makers, free licence activists and to grab some updates from emerging fablab in african context like Kër Thiossane , Ouagalab, Woelab . We also took part to a game-based workshop on french language’s terminology using the board game Concept to understand and play with the construction of words and their roots. We even had time for an informal « transatlantic meeting » with very interesting canadian social organizations like Exeko or Iciéla, looking forward crossed-study visit in 2016 ? Definitively maybe ! Add a short visit/exchange with ReLab the active fablab of Liège, wariness after an enlighted talk with « Imagination for people » staff…, and 37 connexions again (by the way, thanks to Romain Lalande, from Funlab, for his extensive Ludobox report of the Ludobox ). Dcalk team had a little break in August, even though, we were unable to resist passing by Brussels Game Festival ! We mostly came to hear Arnaud Van Hecke talking about copyright: a great moment and a well-structured intervention where he allowed us to understood issue of authorship in « geek culture », or how to explain laws with vampire and zombies! What more at BGF ? News and updates from Jean-Baptiste de Borman and his beloved Planéte Zongo , playtests and discussions with the sassy publisher Hiskills who presented Takattak, without forgetting our yearly fest of salty pancakes from La Table food and game ! 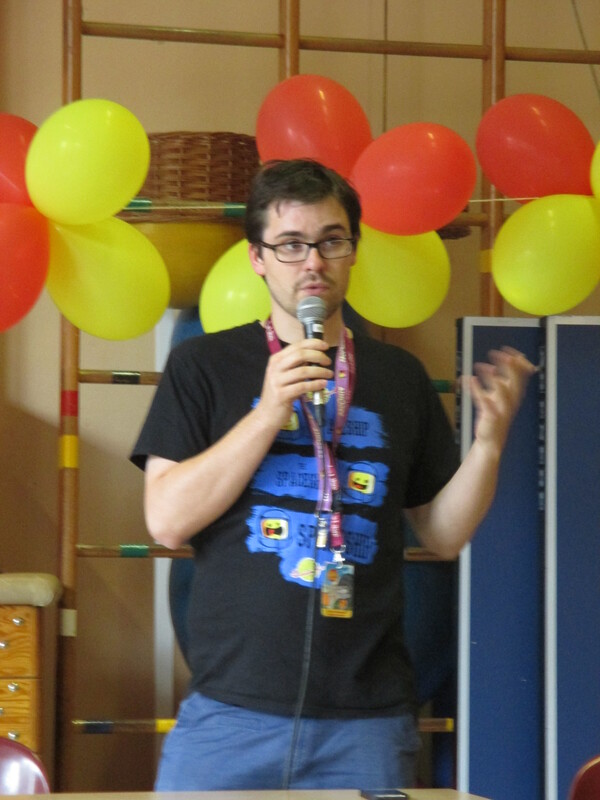 To end this summer report, let’s talk about where Ludobox was, without Dcalk: thanks to Creoludo, who co-organised FLAP, free licenced games were presented during the Parthenay FLIP festival ; and thanks to Gwenael Beuchet, from « Musée Français de la carte à jouer » of Issy-les-Moulineaux, the museum has been experimenting cardgames sharing during their summer events (hopefully more experiments next year !). Let’s say that summer runs until mid-september for us : we ended up in Saint-Herblain (where we, actually, started the Ludobox project in february, nice loop) for the Heritage Days, on the 19th& 20th september. Aiming at enlightening this year the heritage of the 21st century, we could introduce to the public games as part of our heritage, as well as the innovative format of games at the era of digital – specially the reproducibility allowed by Print’n play techniques. A way to show the whole « circuit », starting with a demo of the Ludobox, taking the example of a 3D printed board game, using the files hosted in the Ludobox and finally print them on site with our foldable (ah, so practical !) 3D printer. Using an autonomous battery to plug our wifi routeur, we could even make the Ludobox demo, outside, perfect isn’t it ! We also run our R&D Ludobox tour in United Kingdom in mid September, but it will not fit there…will be publish in few weeks! Ok so, summer is over, but don’t think that the Ludotekkies we are, will just go back to indoor set-up… In few days, we’ll be in Tours for a BoxJam, a collective creative session to hack wifi routeurs to come up with the design of a game in public space. Street life whatever the season !